BTS and Post Production Video. 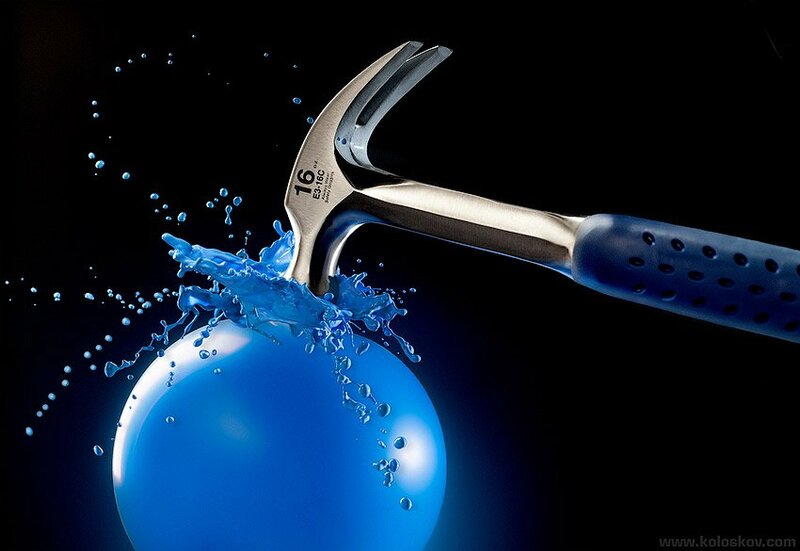 In this 30 minute video I explain how we have done this cool and creative shot of a hammer hitting a balloon. This tutorial includes all the pieces of getting the shot: precise work with the glossy metal of the hammer, creation of the liquid splash, and post-production where we put all these separate pieces together into a final composition. We have recorded a very detailed explanation on everything on this shot, from the lighting for the hummer to a liquid splash creating and post production for the whole shot. Total of 30 minutes.